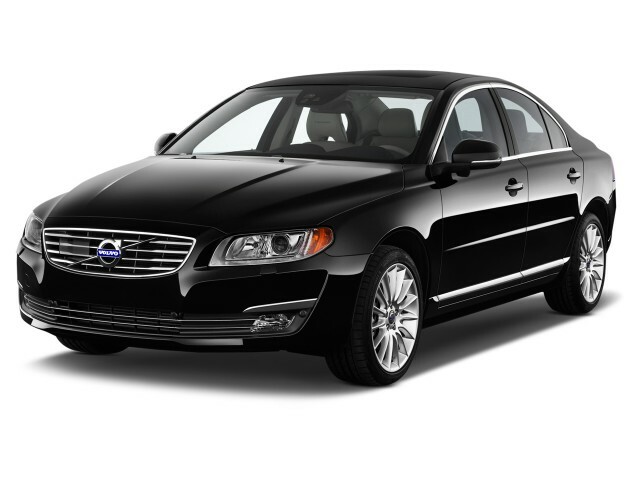 The Volvo S80 sits squarely in the large, subtle, unassuming luxury sedan category, though it emphasizes safety and comfort above all. 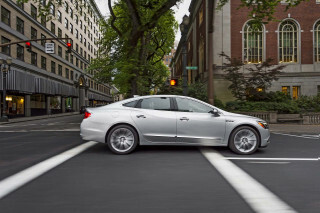 It competes with the Acura RLX, Lincoln MKS, Lexus GS, and Cadillac XTS. The S80 is not long for this world. A replacement model, dubbed the S90, makes its debut at the 2016 Detroit auto show. 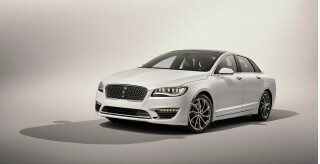 Based on Volvo's new SPA architecture, the S90 will offer turbocharged and plug-in hybrid four-cylinder engines. Volvo's first S80 sedan replaced the 940 and 960 models in an evolving lineup. It was offered from the 1999 model year through 2006, designed and built well before the Swedish brand was purchased by China's Geely. The initial run of cars used a 197-hp, 2.9-liter inline-six engine. The power was acceptable, but the engine felt taxed by the car's heft, and fuel economy suffered as a result. In 2004, a 2.5T model was added, using a smaller-displacement turbocharged engine, which came with a five-speed automatic and available all-wheel drive. This model was noticeably quicker, although it still wasn't a sport sedan when it came to handling. First-generation S80s did provide a comfortable ride, however. Late in its run, the first-generation S80 also offered a more sporty T6, with a 268-hp turbocharged inline-six. 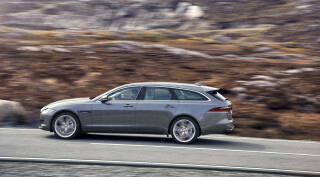 Its available 4C active suspension permitted far better cornering performance, with less body roll through turns. As with the newer generation, the first run of S80s offered lots of options and upgrades that further improved a notable level of safety and technology features. Those included dual-zone climate control, a dual-screen rear-seat entertainment option, and HID headlamps. All first-generation S80s featured active front headrests and side airbags, while electronic stability control was fitted as standard equipment on top-spec T6 models; it was optional on the other S80 models, which might seem a bit out of character for the safety-conscious brand. Still, that S80 was considered one of if not the safest large sedan on offer at the time and would likely outperform many sold new today. The current-generation S80 was introduced way back in the 2007 model year. From its launch through 2011, the big Volvo offered a low-volume variant with an unusual transverse-mounted V-8 engine that produced 311 hp from its 4.4 liters. But fuel-efficiency regulations and the economic downturn killed off the V-8 Volvo, which was replaced at the top of the lineup by a sporty 281-hp, 3.0-liter turbo six. The standard powertrain at the time was a 235-horsepower, 3.2-liter in-line six-cylinder engine paired to a six-speed automatic transmission. Starting in 2011, Volvo simplified and streamlined the S80 model range. At that point, the base model came with front-wheel drive and the T6 turbo model had standard all-wheel drive. In 2012, the S80 got Volvo's City Safety obstacle-alert system as standard equipment. 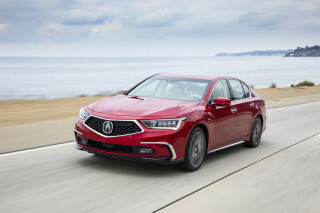 The 2013 model year added a new Road Sign Information function to the Tech Package, and all S80s now include as standard the Personal Car Communicator, rain-sensing wipers, and headlight washers. 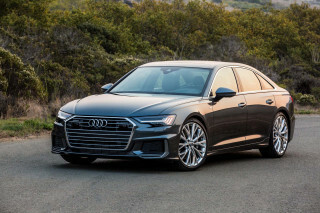 The current S80, while sportier than the previous generation, is still more of a grand cruiser than a sport sedan, preferring sweeping corners to tight canyon switchbacks. Its supremely supportive front seats enable drivers and their passengers to rack up hundreds of miles a day and emerge without feeling wrung-out and achy. As the company's luxury flagship, the Volvo S80 includes a remarkable degree of safety technology. A Blind Spot Information System (BLIS) uses warning lights next to the side mirrors to warn about adjacent vehicles, while the Personal Car Communicator (PCC) is a more sophisticated key fob system that will alert you if your car’s been broken into. The vehicle's interior even includes a heartbeat sensor. These versions come with more impressive interior trim and an excellent available Dynaudio sound system. The S80 has remained relatively unchanged for some time, although the 2015 model year brings a few notable updates. A new Drive-E four-cylinder engine is now standard on the front-drive T5 model; the engine is an efficient turbocharged four-cylinder making 240 hp and mated to an eight-speed automatic. As part of a mid-year update, Volvo is fitting the S80 with its new Sensus Connect infotainment systems, which include enhanced audio streaming, new cloud-based services, Volvo On-Call concierge, a 3D view for navigation maps, and audio supplied by Harman/Kardon.